Although China's economy has grown very rapidly in recent decades, there are still very large differences between the economy of mainland China and the economies of Hong Kong, Macau and Taiwan. For example, per capita income in Hong Kong is many, many times higher than per capita income in mainland China. 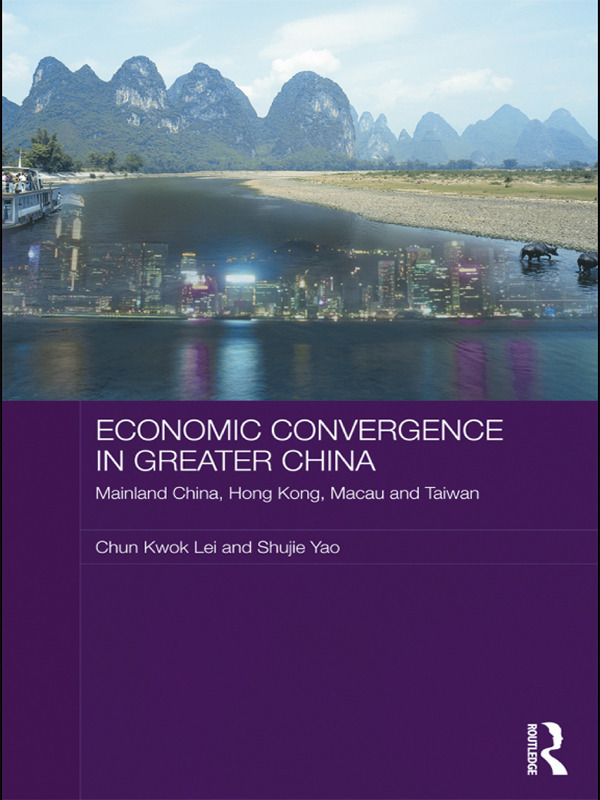 This book considers the degree to which economic convergence between mainland China, Hong Kong, Macau and Taiwan has occurred, and the prospects for increased convergence in the future. It considers economic integration between China and its two Special Administrative Regions (SARS), emphasising the large volume of capital flows and exports, especially from Hong Kong into China, and showing that the economies are highly integrated, despites their differences. It examines income convergence, and changes in productivity, using the same measures for both China and the two SARS, unlike most existing studies. It explores how economic reforms have been crucial to increasing convergence so far, and will continue to be in the future, and concludes by discussing the implications for policy of encouraging increased convergence.